Taking care of your roof and everything underneath it. Your roof is one an utmost important part of your house. It’s above you but you hardly ever think about it. Your roof protects you from strong wind, rain, cold weather, snow, heat, and hail. Every single day your roof exposed to weather dangers and other elements, all of which lead to its destruction and deterioration. The helmets of the houses must be durable. It is important to have a regular roof check-up and not to wait until the time the roof falls on the heads of the people supposed to be protected by it. We, at Orezona Building & Roofing, will share with some ultimate professional guide on Flat Roof Inspection. We have a great wealth experience as one of the best Roofing in Corvallis OR. We will give you guidelines on roof inspection to prolong your roof’s lifespan. The first thing to do is to clean the roof surface by removing any debris and rubble that are lying on the roof or obstructing the drain and its filter or strainer basket. If the basket shows any indication of deterioration, it should be replaced. The best time to check is 48 hours after heavy rainfall. In normal drying conditions, you should not see any puddles left anywhere on the roof after two days. If water is still present, it means the roof is sagging, or the drain is clogged. If this happens, you should call in a professional roofer right away to prevent your roof from degradation of the covering by conducting necessary roof repairs. You must call for professional help if the examination reveals deformation or alteration of any membranes. If the membrane became wavy, blistered, shrank and or the joints are unglued. The roofer knows what are the corrective actions to take, including a potential roof replacement. The next step is the inspection of the membrane cap sheet. Whether the membrane is built-up or elastomeric, every membrane must have a granule-surfaced cap sheet or gravel that is needed for ultraviolet radiation protection. The wind, running water and foot movement on the roof will cause the part of the protective covering to be lost leaving some membrane exposed. This problem should be certainly be done by a professional roofer. You should also examine the state of the flashing, regardless if you have residential or commercial roofing system; these are the strips of steel that run around the edges of the roof. Inspect if they are still attached firmly well if rust has infiltrated if there are any cracks and if the nails and screws are loose or not. Afterward, examine the chimney. Make sure it is firmly stable. Finally, inspect the roof vents. Corrective actions are needed if they move even with an only slightest push. 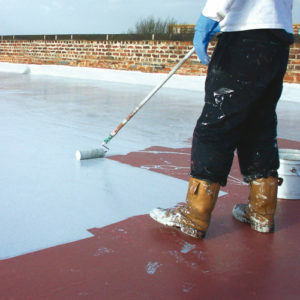 If you have a flat roof, we will gladly assist you to fix your roof issues. When you select Orezona Building & Roofing as your roofing company here in Corvallis, you will be guaranteed that your roofing job will be done properly and at the right time. This assurance of ours is somehow being reflected by the positive reviews we have received from customers like you. You may call us at (541) 204-1286 or visit us at our Orezona Building & Roofing Facebook Page for more details. Contact Us Today!